Running out of gas is not a moment to panic. With gas prices always going up and down, and with the craziness of life, sometimes it’s really easy to say “I’ll just fill up the tank tomorrow” – until you realize you’ve put it off so many times that you’re now completely out of gas. But that’s what we’re here for at Titanium Towing: Mississauga gas filling. You’ve got that right – we will take care of your gas filling for you. Whenever this horrible emergency situation arises, we’ve got you covered, and knowing that can help you sleep a bit better at night. Yes, we’ve got your back. You come first. That’s why we keep our phones on and manned 24 hours a day, 7 days a week, and 365 days a year. You can call us whenever you need gas filling or any other emergency roadside assistance service. We promise speedy service, with you waiting for our technician no more than 30 minutes from the time that you call us. And then whatever your needs are, we’ll take care of them, from filling up your gas tank to helping you get to a gas station to making sure you are safely on your way. Here’s how this works. You call us at Titanium Towing to let us know that you’re out of gas and you need Mississauga gas filling services. 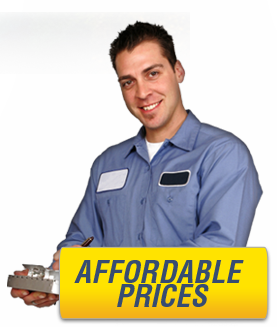 We immediately dispatch the technician who is available and nearest to your location. Since his vehicle will already carry with it plenty of gasoline of each variety for the driver in need, he won’t have to make any stops but can just come straight to you. Next, we’ll give you a completely honest quote of how much you will be expected to pay using our out of gas services. The technician will soon arrive at your side and take care of your needs. He’ll answer any questions you have (no matter how long it takes) and make sure you’re on your way before moving on to help the next customer in need. Even though bringing you gasoline sounds like an easy job that just anyone could do for you, we will treat you professionally. We take pride in our business and will serve you with dignity no matter what your roadside emergency needs are. When you call us at Titanium Towing, you’re calling a professional certified reliable towing company, and we pledge that all of our business dealings will reflect that.